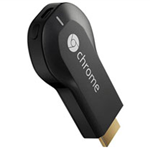 Even at full price, you could stick a [Deal Alert] tag on just about any box with a Chromecast in it. I mean, the thing costs $35 bucks and turns any TV from a blank screen to something that can play most of what us cord cutting types want to watch these days. Of course, slashing that price in half makes it even more of a deal. 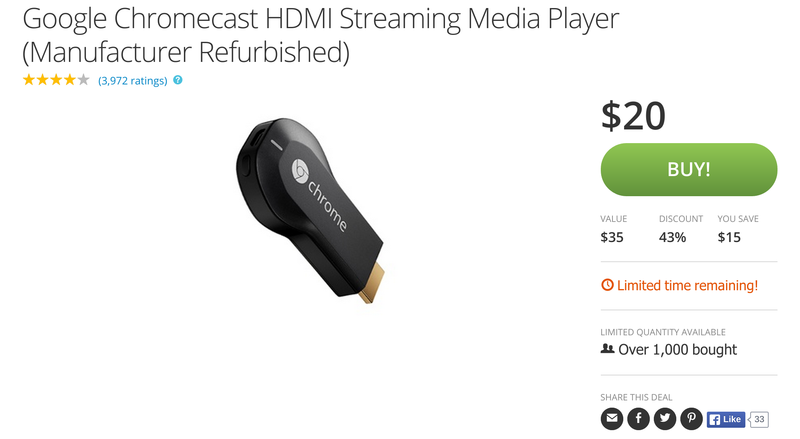 We've seen Groupon offer the Chromecast for just $20 before, but the deal is back, and it's still a great buy. Even if you don't generally like refurbished things, we're talking about something you're going to stick in the back of your TV and never look at again. Seriously, it's not unreasonable to forget to unplug your Chromecast when selling the TV it's plugged into just because there's absolutely no reason to ever touch the thing. Anyway. You're saving $15, and the deal will only continue for a limited time.